Curing hams and other meats used to be a necessity. 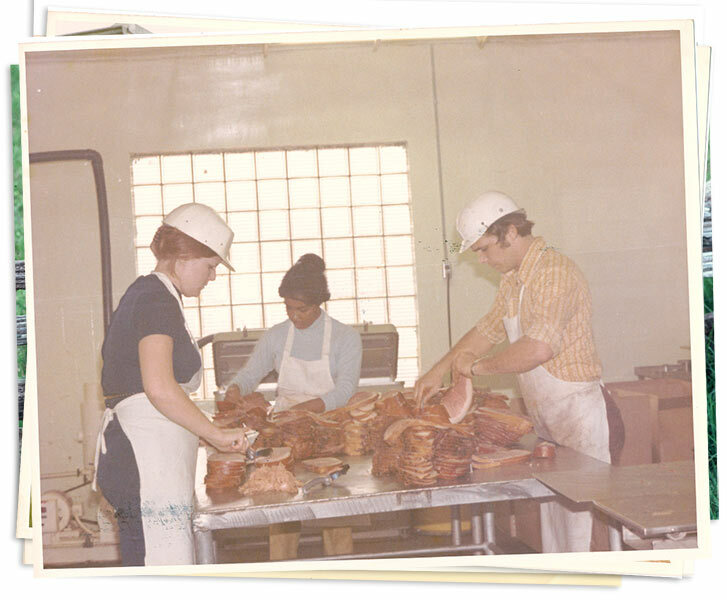 The whole country ham curing process was developed because people needed a way to preserve their fresh pork in the days without refrigeration. Curing whole hams became a country art, much like wagon making and quilting. It was passed down from one generation to the next, with each family safely guarding their secrets. The taste and flavor of a man’s ham was his trademark and a source of family pride. People didn’t just talk about their hams, they had their neighbors over for a big country ham breakfast including eggs and scratch biscuits, or fried chicken and grits with fried corn, topped off with homemade peach preserves and sorghum molasses with fresh butter from the farm, with the center of the meal being the country ham. The whole family pitched in on hog killing day, including the children. It was completely acceptable for children to miss school to help. While one child would render the lard in an old iron washpot over a hot fire, another would crank the sausage mill and fill the sausage sacks their mothers would make from old bed sheets. Nothing went to waste in those days. Most folks would use five to eight pounds of salt for each 100 pounds of meat. That was a rule of thumb in the country. They’d prepare a salt rub of salt, molasses and other “secret” ingredients that suited each family’s taste, and rub it onto the ham by hand. The salt covered ham was then set on shelves in the smokehouse and left to “take the salt”, allowing seven days per inch of thickness – about six to eight weeks, adding a day for every day the weather was below freezing. The second stage of the curing process was smoking the meat. Smoking usually took place in the early spring when the peach trees began to bloom. The salt cured hams were washed and hung from the rafters of the smokehouse. A fire was built below on the dirt floor. Choice woods such as hickory, oak, apple or peach bark or other items such as corn cobs and sassafras were burned to create a signature smoke. The smoke was kept going continuously for six to seven days or until the meat took on a thick, delicious, brown crust. Smoking the meat for too long made the meat dry and tough, but done just right, the crust served to seal in all of the wonderful natural juices of the ham. 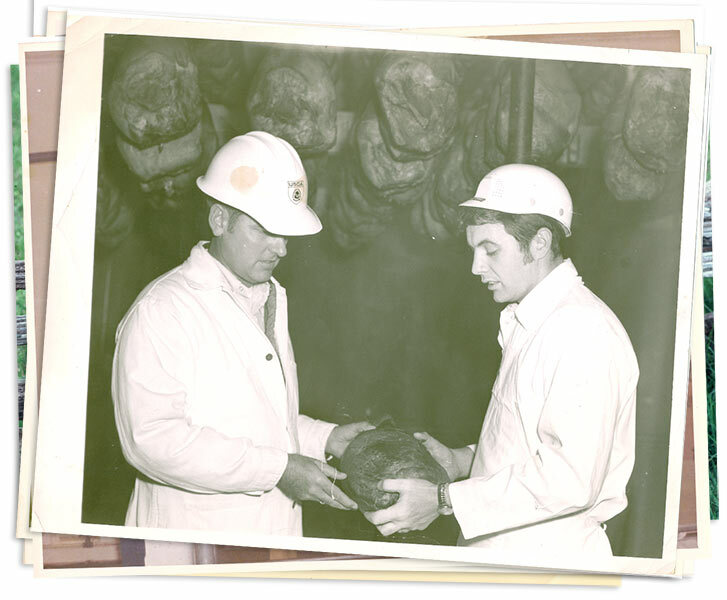 A lot has changed since the early days of curing country ham. In modern facilities, the Murphey family still follow the old country curing recipes handed down through their family, and they are still sharing their country hams with their neighbors. Each country ham is numbered and seen through its curing process from beginning to end – from salt rub, to hickory smoking.